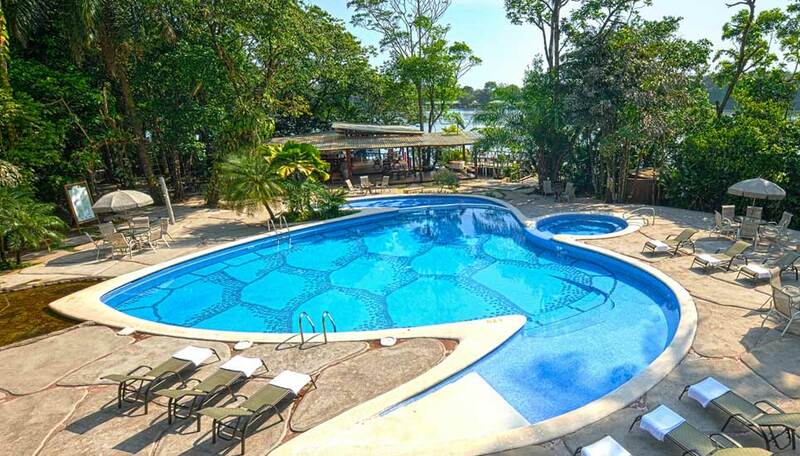 A great place to stay in the heart of Tortuguero’s rainforest. 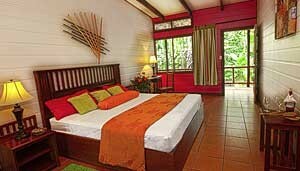 Pachira Lodge is open all year round. 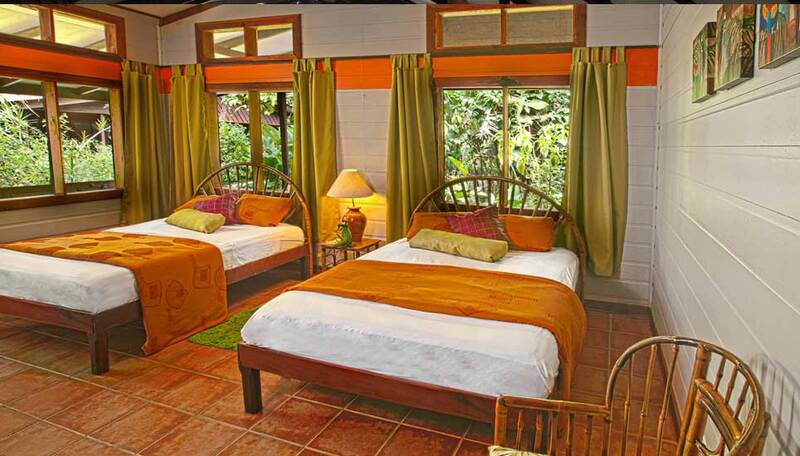 Pachira Lodge is simple but very comfortable and close to the main gate of Tortuguero National park. It sits on a narrow strip of land, surrounded by rainforest and the winding waterways of Tortuguero’s canals, access to the hotel is only by boat or air. The lodge was been built to blend in with the surroundings and have minimal impact on the rainforest and those who live here. The rooms are simple and clean – they have everything you might need such as a ceiling fan, private bathroom, veranda. No TV is required, you have the sounds on sights of nature on your doorstep. If you want to relax, take a dip in the turtle shaped pool – it’s right on the edge of forest so you can spot wildlife from your lounger. Wholesome local and international meals are served in the restaurant. If you want to escape from everything for an hour or so, pop over to the spa and indulge in one of their pampering treatments. Why go to Pachira Lodge? This really is all about immersing yourself in nature – there are no roads here, all tours are done by boat on the canals and waterways surrounding the lodge. 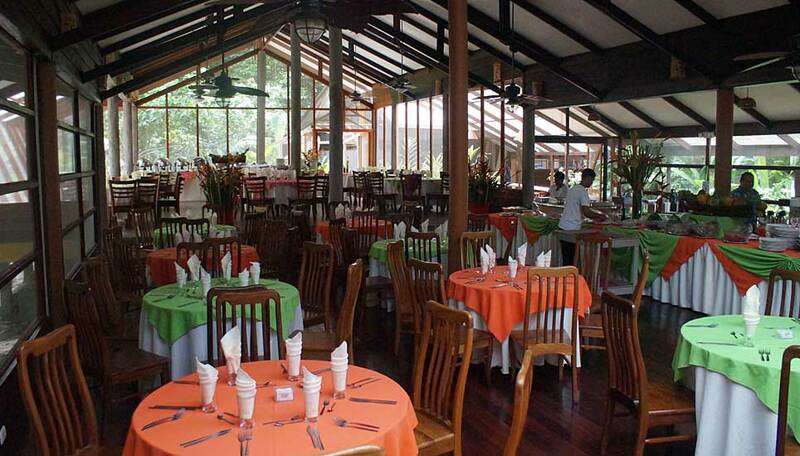 Pachira Lodge is the closest lodge to the entrance of Tortuguero National Park – just 5 minutes by boat. One of the big bonuses for this lodge is that it is adjacent to one of the biggest green sea turtle nesting sites, and come July to October there are tours each night down to the beach to watch this amazing spectacle – it really is an unforgettable experience. But there are plenty of other activities to keep you busy here or you can relax in a sun lounger and listen to the sounds of the forest. As you would expect there is plenty of wildlife in the Tortuguero National Park and surrounds. The lodge itself is built on a 14 hectare private reserve – no roads, just waterways! As you would expect, in season there are turtles to be seen on the beaches, either adults laying their eggs or hatchlings making that mad dash for the ocean. But there is much more on offer in the reserve and around. Sloths make their home here, and you will see and hear plenty of howler, spider and white-faced capuchin monkeys. You may be lucky enough to see otters at play or even a manatee! The early morning boat tour is a must – you will witness the forest waking up and coming to life with all manner of animals from caimans, basilisk lizards, frogs, iguanas, herons, terns to name but a few. 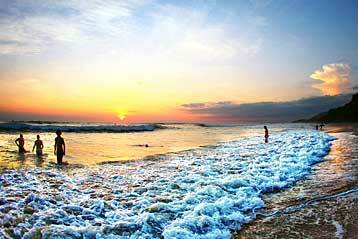 It’s a magical time of day to be on the water. Inclusions depend on length of stay. 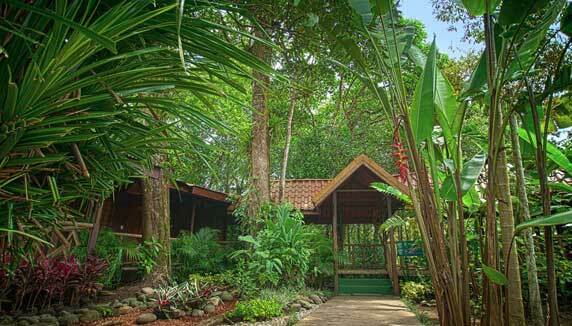 There are 88 rooms at Pachira Lodge. They are rustic, but very comfortable and have everything you might need. There windows are mesh covered to deter mosquitos but allow you to access the breezes, there is also a ceiling fan. Most of the rooms have 2 double beds though some have 1 king size bed, or 1 double and 2 singles. Each room can house a maximum of four. There is a private bathroom with hot running water and an outside seating area so you can relax and enjoy the sounds of the forest from your room. 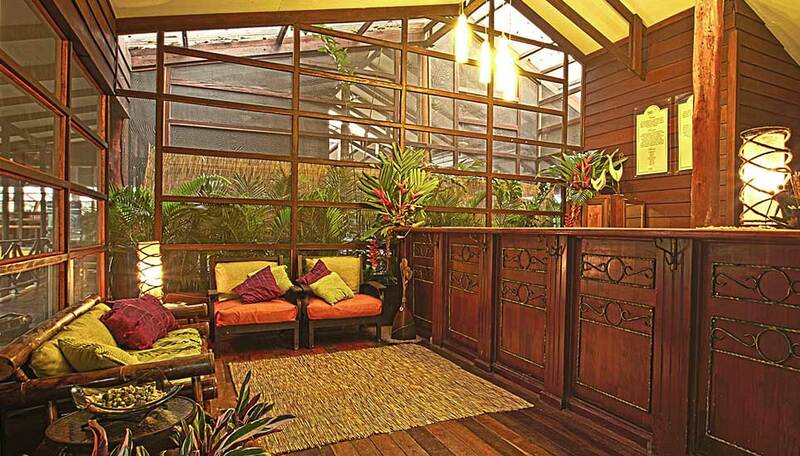 The rooms have been built within the rainforest to become a part of it. Children under 5 stay free. Children 5-11 pay 50% when sharing with an adult (maximum 2 children per room). Children over 12 pay the adult fare. There is free WiFi in the lodge common areas. There is also a good cell phone signal.